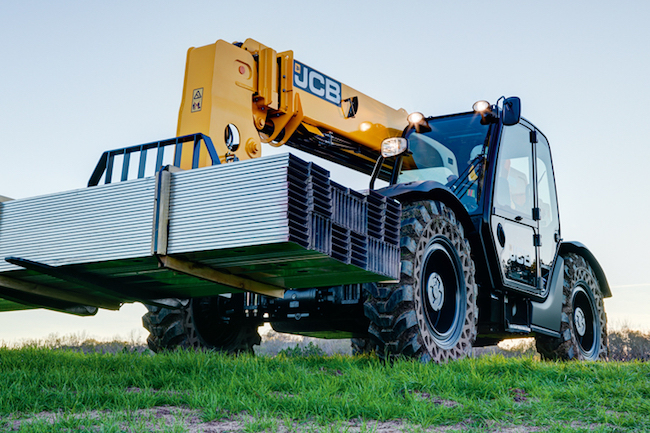 The JCB 510-42 Loadall Telehandler packs 10,000 lbs of lift with no need for outriggers. Construction equipment manufacturers constantly release new models to keep up with the continually changing requirements of professionals in construction, extraction, and countless other industries. BigRentz always seeks to keep customers in the know of the latest innovations in heavy equipment manufacturing. In September’s Equipment Spotlight, showcased models include the JCB 510-42 Loadall Telehandler, the Komatsu PC210LCi-11 Excavator, and the Caterpillar 986K Wheel Loader. JCB’s latest telehandler release, the 510-42 Loadall (featured image), packs power and functionality that are characteristic of the brand. The telescopic forklift features a max lift capacity of 10,000 pounds and a lift height of 42 feet. Even more exciting, the 510-42 Loadall does not require outriggers when extended. 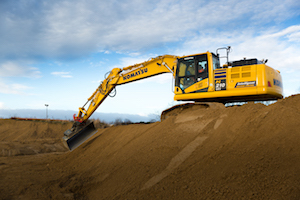 The next generation of Komatsu’s semi-automatic excavators, the PC210LCi-11 comes equipped with factory-integrated machine control. You may ask what exactly that means. Komatsu’s innovative excavator utilizes both GPS and GNSS technology to position the operating unit geographically and topographically. This futuristic functionality prevents the operator from over-digging or maneuvering into potentially unfavorable terrain. 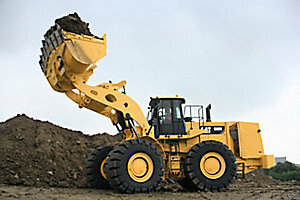 Designed as a replacement for Caterpillar’s 988F wheel loader, the Caterpillar 986K is both more compact and lighter weight than the previous model. The new loader features a 11 cubic yard bucket and is perfect for large scale loading applications. Cat’s latest wheel loader is furnished with Cat STIC steering capability, as well as Product Measurement as a standard feature.